During the early months of the year it’s hard to forget about Valentine’s Day, a day about celebrating that perfect love. Romantic comedies are on the rise, and sappy Hallmark cards are bought by the handfuls. February 14th has become a day that almost romanticizes romance and love. The idea of what a perfect love should be is over-exaggerated, to the point that it now seems that it’s the only way to love. “Love Is Mystical,” Cold War Kids’ anthemic first single from their forthcoming album L.A. Divine (4/7/2017 via Capitol Records), dives into this concept of the ‘ideal love’ and what it does to you. “Love Is Mystical” starts out with the classic power and instrumental fury that Cold War Kids are known for. The strength of the relentless beat does a fantastic job of blending the song’s music with its meaning. Typically songs centered around love are slower, performed in a ballad-like style. The introductory lines of “Love Is Mystical” make it blatantly obvious that this isn’t your typical love song. The repetitive ‘woo hoos’ that color the refrain are extremely catchy; listeners will have it stuck in their heads all day. The lyrics match with the instrumental, and are anything but ordinary. Lead singer Nathan Willett sings about the struggles that come along with a relationship. Media portrays love to be life saving: Being in love or being in a relationship is supposed to be easy, and something everyone should strive for. “Love Is Mystical” is a song that challenges what the public is supposed to believe. Cold War Kids does an exceptional job of laying the truth of these feelings out on the table. This song speaks about being so happy with someone, but also feeling scared – being apprehensive about a relationship because you feel so deeply is something many people go through. You might second-guess yourself because you don’t want to come off too clingy, or not engaged enough. “Love Is Mystical” delves into what happens during that time. People can find answers to their questions anywhere they turn if they look for it. Directed by Phillip Lopez, the “Love Is Mystical” music video tells a story all in itself. The characters move in reverse throughout, reminiscent to Coldplay’s “The Scientist” music video. It portrays going through your relationship, right back to the start of it. The characters are thinking about what went on, trying to find a point where the relationship started to get tough. When paired with the lyrics, the video suggests that the main character wants to fix the issues that occurred in the past. No matter what your plans for Valentine’s are, “Love Is Mystical” should be on your playlist. Cold War Kids’ song is raw and shares a strong truth about any kind of relationship. There are ups and downs, and sometimes you may not know how to recover from them. 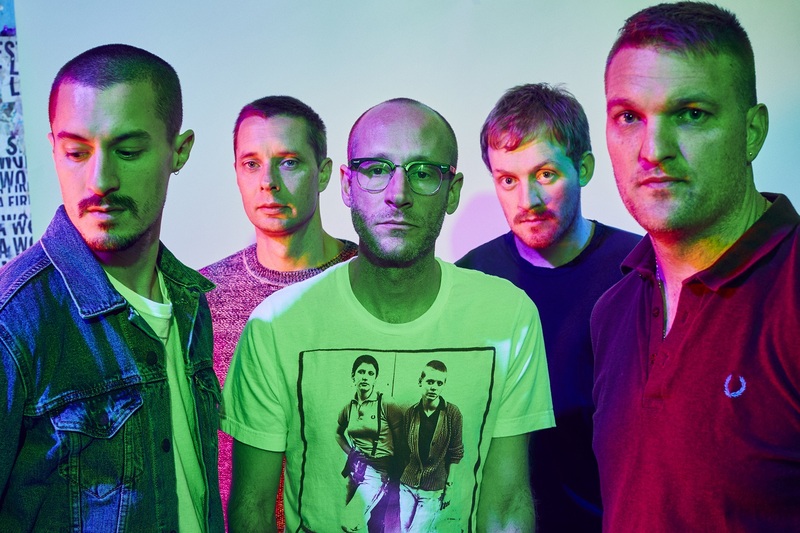 Cold War Kids’ North American tour kicks off in March (dates below) and their forthcoming sixth studio album, L.A. Divine, will be released on April 7 via Capitol Records. If their first single, “Love Is Mystical,” is any indication, this album will continue to expand the band’s signature the crisp, evocative power and expert musicianship.